OAXACA PLUMA COFFEE – See Oaxaca Pluma Coffee. OCOA COFFEE – See Dominican Republic Ocoa Coffee. ODOR DEFECT/ODOR TAINT – See Coffee Defects. OFF-FLAVOR/OFF-TASTE (Off Flavor; Off Taste) – See Coffee Defects. OIL – The volatile essence of the coffee bean. Coffee oils develop in the coffee beans during the roasting process. Also called Coffeol; Coffee Oil; Flavor Oils; Volatile Oils; Essential Oils. OILY – Denotes a darkly-roasted coffee with a roasted oily taste; perhaps somewhat greasy, though not a rancid coffee. OLD – A coffee which acquires an unpleasant flavor after roasting due to improper storage and the passing of time. The coffee’s aroma is altered and the taste strongly suggests hay. OLD ARABICAS – Historically well-known coffee plant types (e.g. botanical varieties; varietals; cultivars; hybrids) of the species Coffea arabica, old Arabica varietals are considered of a higher quality (e.g., superior) to new coffee plant types. Some distinguished old Arabicas include the varietals Blue Mountain (Coffea arabica var. blue mountain), varietal Bourbon (Coffea arabica var. bourbon), and varietal Typica (Coffea arabica var. typica). These early varietals, which were developed through selection, are generally considered superior (in regards to producing a fine brewed cup of coffee) to the newer varietals which were developed relatively recently with the goals of increasing production and/or improving the coffee plant’s ability to resist coffee diseases. OLD BROWN JAVA COFFEE (Old Brown Coffee) – See Old Brown Java Coffee. OLD CROP COFFEE – Green coffee beans that were stored in a warehouse before shipping in order to increase the coffee’s body and lessen the acidity due to enzyme activity that causes chemical changes in the coffee beans. An old crop coffee is not stored as long as a mature coffee, which is usually stored for two to three years. An old crop coffee may or may not have better taste characteristics than coffee beans which came from the very same crop yet were not stored in a warehouse. Also see Mature Coffee; Vintage Coffee; Aged Coffee; New Crop Coffee; Monsooned Coffee. OLD GOVERNMENT COFFEE – See Old Government Coffee. OLDISH – A coffee totally lacking freshness, perhaps flat, and with a mild hay-like flavor. OLD JAVA COFFEE – See Old Java Coffee. OLD TAVERN COFFEE ESTATE – This relatively small yet respected coffee estate is one of the most renowned Jamaica Blue Mountain estates which also include Mavis Bank, Wallenford, Old Tavern, Moy Hall, and Silver Hill. Old Tavern coffee estate is located in Jamaica on the northern hills of the Blue Mountains. processing (washed) method to prepare the Jamaica Blue Mountain™ coffee beans. Only estates with the registered right and legal permission to call their coffee Jamaica Blue Mountain coffee are allowed to do so. Also see Jamaica Blue Mountain Coffee. ONIONY – A coffee flavor characteristics/taste sensations reminiscent of onions. ORANGE LEAF RUST – A coffee disease that is caused by the fungus Hemileia vastatrix and can devastate an Arabica coffee plantation. The first signs of the disease are yellow or yellow-orange spots on the underside of coffee plant leaves. This leads to defoliation and reduces the plant’s fruit (cherry) growth. Leaf rust was first noted in 1861 in Kenya, and by the 1920s it was widespread in the coffee-growing countries of Africa and Asia. Coffee rust began to show up in the Western hemisphere in the 1970s, and by the mid-1980s was found in all of the West’s major coffee-growing countries. One of the very few coffee-growing areas free of coffee rust is Hawaii. Also called Rust; Coffee Leaf Rust. ORDINARY – Denotes a coffee with a quality that is below average, including its variety and grade. Similar to bland. ORGANIC COFFEE – See Organic Coffee. ORGANIC TRADE ASSOCIATION – See Organic and Fair Trade Organizations. ORGANOLEPTIC – The physical experiences – including touch, smell, taste, and sight – which are involved in drinking brewed coffee. ORIGIN (Botanical) – See Coffee plant varietals. ORIGIN (Geographical) – The geographical area/region where a particular coffee is grown. ORIGIN FLAVORS – A brewed coffee’s tastes reflecting the origin of the coffee plant as well as the soil and climate of the region where the coffee was grown. Origin flavors are most noticeable in coffees that are only lightly roasted. In contrast, Dark Roast coffee tends to completely eclipse the natural (origin) flavors of the coffee beans. ORIGIN LABELING – Labeling coffee beans with the region or country where it was grown. OTHER MILDS – An ICO grouping that includes 21 countries whose emphasis is on wet processed (washed) Arabica coffee. OVER-BAKED – A taste fault/aroma defect in brewed coffee causing an insipid flavor and flat bouquet. This over-baked quality is created by improper roasting – e.g., roasting too long at too low of a heat. The term over-baked also is used to refer to the unpleasant taste created by over-heated coffee. 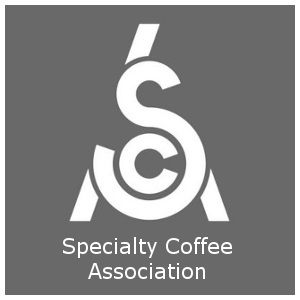 OVER-EXTRACTED (Over Extracted) – Brewed espresso or coffee that has been subjected to an excessive amount of extraction – exposure to hot water – and thus likely has an extremely bitter taste and off-flavors. 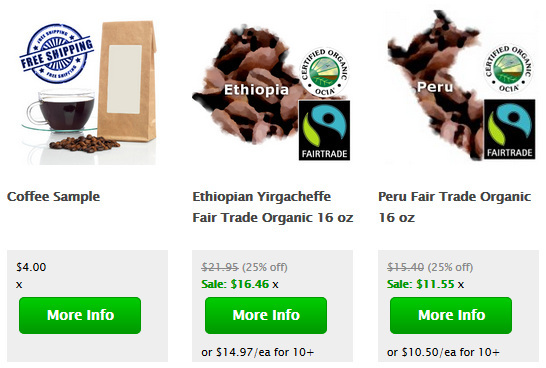 OXFAM INTERNATIONAL – See Coffee Associations, Organizations, and Boards.